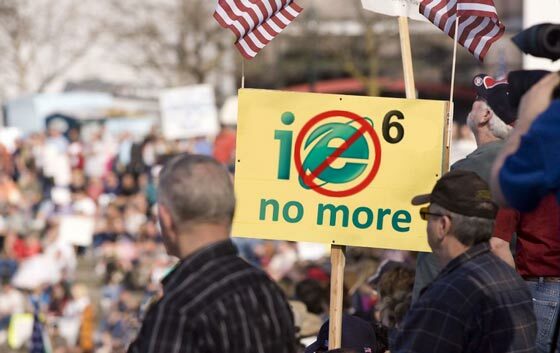 The web-design community is showing mixed feelings about the return of IE6, and scrambling to update client websites to make them compatible. Many online job boards have reported that roughly 15% of their users have updated their profiles & changed their profession from “web developer” to “other” in the last couple of days. 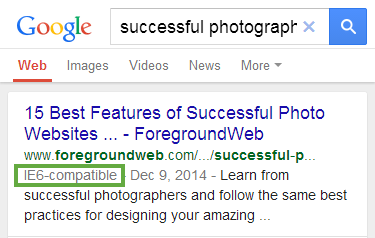 How does Internet Explorer 6 impact your photography websites? 1. 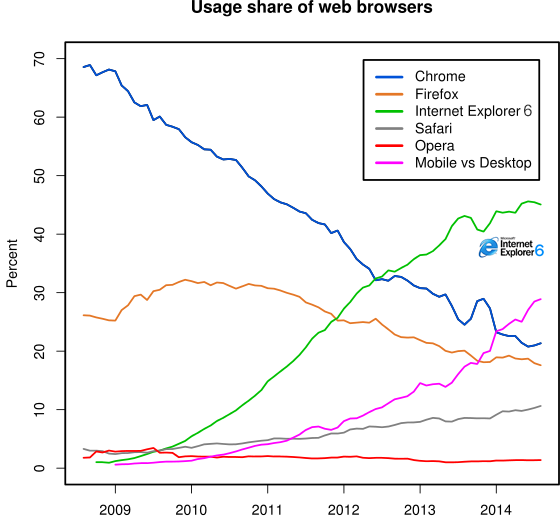 It’s expected for Microsoft to also issue an iPhone version of Internet Explorer 6 in the following months. Since CSS compatibility is very limited, websites will no longer work in a responsive manner, so mobile users will again have to pinch-and-zoom to browse a website. Google, who has been strongly advocating mobile-friendly websites recently, completely took down its free mobile testing tools online, and is expected to change its SEO requirements for non-responsive websites too. 3. Performance best-practices for websites are still in place (as people still expect sites to load faster & faster), but less important now since IE6 automatically ignores some of the page elements anyway. 4. Facebook will be down for a couple of weeks. Design changes that Facebook made in the last few years have made it “too modern” for IE6, so the company is now forced to rebuild their social media platform in IE6-compatible ways, leaving millions of users and business without access. Previous article:Homepage slideshows – good or bad for user experience?